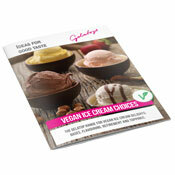 The extension of your vegan ice cream menu has never been so easy. Discover our new Vegan Base 500. 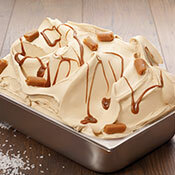 The combination of sweet caramel and a subtle hint of salt - now as Pronto Salted Caramel for your ice cream parlour. Trendy! Yummy! Pronto! Pronto Pink & Chocolate serves up a brand new flavour for your ice cream counter, where soft white chocolate meets the taste of fruity berries. 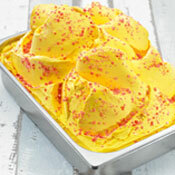 The perfect addition to your children's ice cream range with 3 times excitement: Colour, flavour and special effects! Welcome to the world of Gelatop! 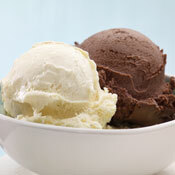 The preparation of good dairy ice cream is an art in itself. Not only the Italians know this, at Dreidoppel we know this too. In our Gelatop ice-cream studio we permanently research, develop and create new ideas to give your ice cream a unique flavour. 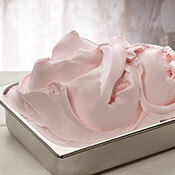 At Gelatop there are plenty of things which account for a good flavour – ice-cream pastes for dairy and fruit ice cream, ice-cream binding agents for the perfect consistency or ice-cream flips and sauces to round off the flavour and appearance of your ice-cream creation. 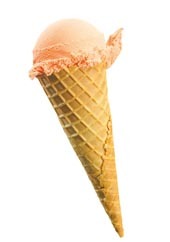 Whoever likes good ice cream has to love Gelatop. Just like Haribo for example. Together we managed to develop the dairy milk ice cream Marshmallow – a product that wins over both children and adults equally. 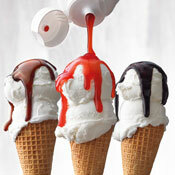 It is therefore no wonder that our name has long been an excellent reference for perfect ice-cream preparation. With a range of flavourings which leaves nothing to be desired and years of expertise in what really matters for a good flavour.